The new in color, Coastal Cabana is becoming a new favorite. I wouldn’t have thought to pair it with Smoky Slate, but I love the color combination. 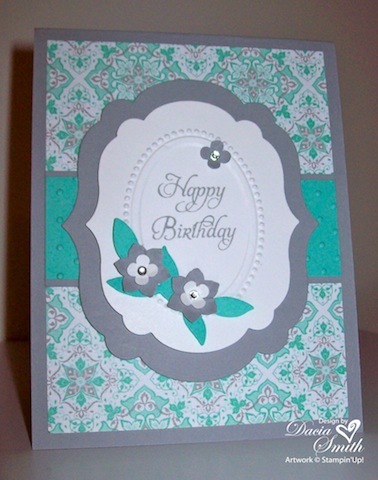 I cased this card from a fellow stamper, Judy May. Please visit her website and check out the many beautiful project ideas. If you are in need of purchasing stamping supplies please visit my website. I welcome an order of any size. Hope your weekend includes a little crafting fun. In a creative mood? Try a little inspiration using the MOJO Monday Blog with Julie Tilman. 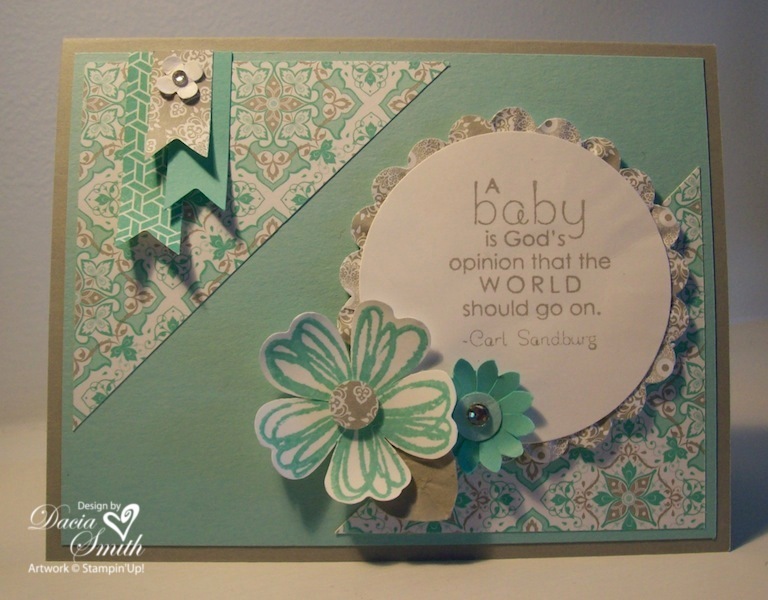 Today’s card follows MOJO307 and is an all Stampin’ Up beauty! 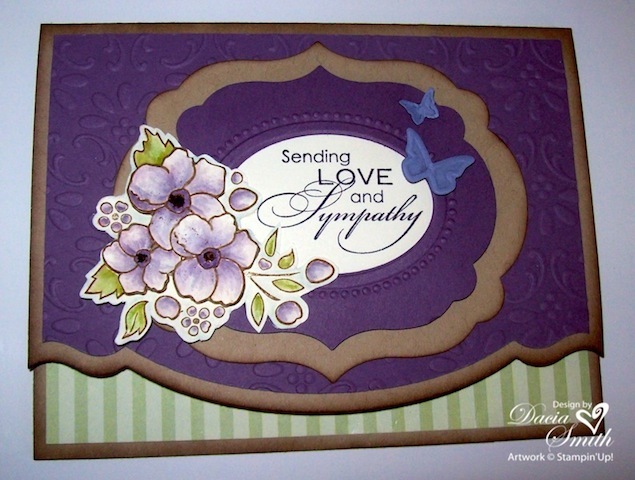 There are many great products and brands a stamper can use, but I continue to be loyal to Stampin’ Up.